After falling months behind on your mortgage payments, the foreclosure notice you have been dreading has finally arrived. Our attorneys help people in financial distress to save their homes and avoid foreclosure. 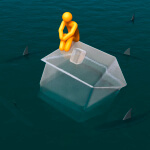 Do not panic – talk to one of our experienced bankruptcy attorneys immediately about your options. The foreclosure process is a fairly lengthy process that generally takes anywhere from nine months to a year to complete. That said – if you have received a home foreclosure notice, do not wait too long before you do something about it. Our attorneys will take an honest, objective look at your financial situation and explain the various options to help you. In most cases, if you want to keep your home and cannot immediately make the payments you have missed – a chapter 13 bankruptcy may be your best option. What Is The Indiana Foreclosure Process? Stopping the Foreclosure – What Doesn’t Work? Stopping the Foreclosure – What Works? How Can You Stop Foreclosure and Save Your Home Using a Chapter 13 Bankruptcy? Foreclosure is the legal action your lender uses to take possession of your home for non-payment of your mortgage loan. When you are unable to make your mortgage payments on time, you are legally in default of your mortgage contract. Under the terms of that contract, the mortgage loan was secured by your home, and if you default, the lender is entitled to take possession. The law allows the lender to foreclose on any property that secures a mortgage — including a second mortgage or home equity loan. You can also lose your home to foreclosure for non-payment of your property taxes.